WebVolta Software Design Blog - Don't know what do? Make a graphic. Don't know what do? Make a graphic. I absolutely love design. It's been a passion of mine for years now. But there are times when I wonder if I should have gone into something where I could make a bigger difference. It can be so discouraging watching things happen in this world and feeling powerless. For now I try to use design to help others where I can. I was feeling pretty helpless the other day and needed an outlet. Playing aroudn in Illustrator has always been theraputic for me. 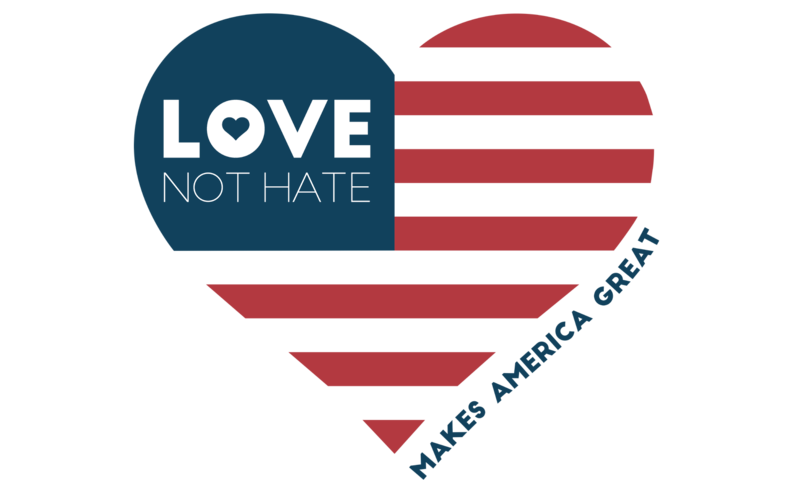 I was playing around with the pen tool for a bit and then I had the idea for the Love not Hate graphic. It was super clear in my mind what I wanted to create. It was simple and direct. Clean lines, simple illustration, use of negative space, bold font. The response has been so positive! I'm so happy for how this graphic was received. It was purely just a way for me to express how I was feeling, but it was so well received that I was asked to make it into a t-shirt. 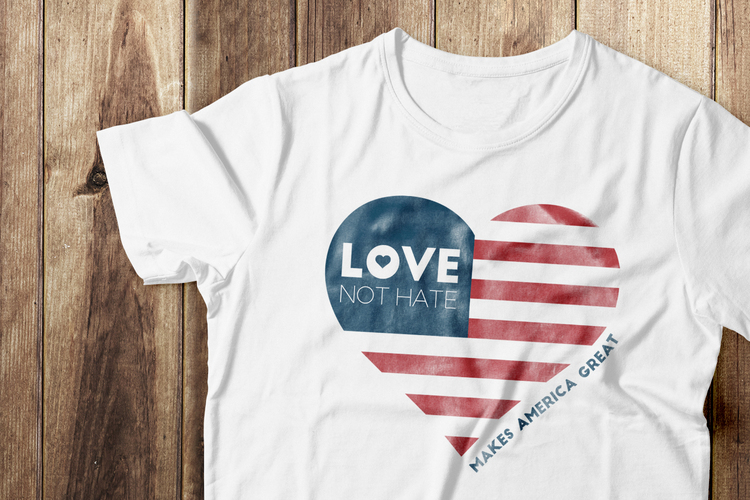 If you would like a shirt for yourself visit - https://www.bonfire.com/love-not-hate/. All profits will go to support the International Rescue Committee.